MDeC in partnership with IBM Malaysia invite MSC Malaysia Status companies with innovative solutions to an introduction session to IBM SmartCamp. The IBM SmartCamp is an exclusive event aimed at identifying early stage entrepreneurs who are developing business ventures that align with IBM Smarter Planet strategy - To solve the planet’s biggest challenges in the areas of Smarter City Solutions, Roads, Healthcare, Transportation, Utilities, Energy & many more. 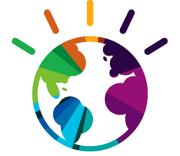 Link IBM Global Entrepreneur Programme. Aug 19th 2014 @ MaGIC.